Top of the sixth inning. 0-2 count. New England 4, Great Lakes 0. A high fastball that is right in the middle of the strike zone. Swing and a miss. With that pitch, Fairfield American star Will Lucas struck out his 13th batter, sealed his team’s victory in an elimination game, and most impressively, completed that special baseball feat of throwing a no-hitter. No-hitters are remarkable for a pitcher at any level in any circumstance, but this was at the Little League World Series with the game being televised on ESPN. Soon after its conclusion an ESPN reporter was interviewing Lucas, who had a huge smile on his face, and the feat was covered on SportsCenter the day after. It is a career highlight for Lucas, but he doesn’t want it to be the highlight. He is proud of it but is more eager to create a larger legacy based around future success. After being asked if he is tired of talking about it, he expressed a certain ambivalence. Lucas comes to UConn with much more success than one event when he was a 12-year-old. A supreme athlete, he was an accomplished quarterback and guard for the Fairfield Prep football and basketball teams. He made his bones on that Little League team as a shortstop with a strong bat and quality fielding. That carried over to high school, where he was a Conference MVP and recognized as All-State by multiple publications. That Fairfield Little League team received a good deal of publicity for its success and Lucas was at the center of it all. His success in high school provided many a shot at a local dynamo of sorts. “You just have to wipe the trash talk off and let your play do the talking,” Lucas said. When Jim Penders signed Lucas, he was getting the number one shortstop prospect in the state, according to Perfect Game. He was also getting a player with tremendous intangibles and the traits to thrive in high-level collegiate baseball. Lucas began a relationship with the program his freshman year of high school, and as a Connecticut kid, quickly developed an affinity for the coaching staff and the campus. Despite his apathy towards it, the no-hitter will always be attached to Lucas. Unprompted, Coach Jim Penders touched upon it in describing Lucas. This UConn team is experienced and heavy in returnees, but Penders believes Lucas will find a way to make an impact. “I don’t know how it’s going to happen. I didn’t know how Willy Yahn was going to get in the lineup either, but he was one those guys where once he was in there, it was impossible to get him out of there. Will Lucas gives off that same vibe,” said Penders. It is a crowded and talented infield. The outfield is deep too. But Lucas’ utility will earn him innings. Lucas acknowledged the transition to college requires increased work ethic and brings better competition, internally and externally, but that same confidence gave him belief he would be capable. Penders’s premonition has held true so far. Through their first two series, Lucas has started twice, although he is struggling with only a walk and zero hits to go along with six strikeouts. Lucas will get the chance to face off against fellow Little League World Series representatives from two different teams when the Huskies host Boston College on March 26 and travel to UMass on April 16. Austin Bachelor, a redshirt junior pitcher for the Eagles, and Matt Hosman, a senior first baseman for the Minutemen, will be representing from the 2009 Peabody West team that served New England. 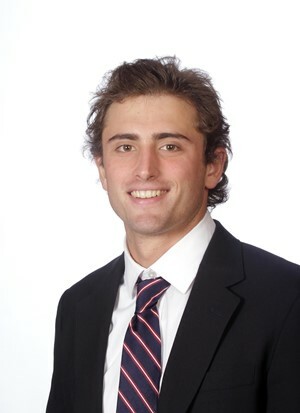 When they play at Bryant on April 8 and execute a home-and-home with URI on April 24 and May 14, Lucas will take on the Bulldog’s Chris Wright, a junior pitcher and utility man, and the Ram’s Josh Brodeur, a redshirt sophomore infielder, who played on the 2011 Cumberland American team. Hosman garnered some fame of his own when he hit a walk-off grand slam in the regional final on NESN to send Peabody to Williamsport, but none received the national coverage like Lucas. “I’m just excited to get out there and play some ball, no matter what my role is, and help this team win,” said Lucas.